threads of water, struggling as ever with the scale of the continent. Between the wide distances, the desert may reveal for you small natural sanctuaries. Increasingly art is the product of a busy world. It tells us how fast things are going, how much we are changing, how at odds we are with nature. Seemingly therefore, to locate oneself in an artistic tradition that seeks the spiritual in the natural, one must disengage from the noisy chatter of contemporary life. In her carefully composed paintings of the deserts and townships of outback Australia, artist Carolyn Goldberg has taken just such a step. 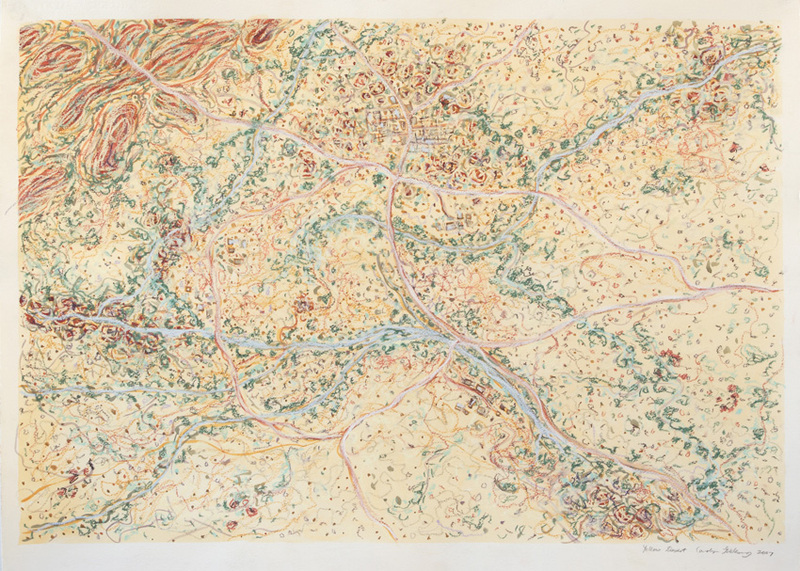 Seeking to convey her experiences and impressions of central Australia, Goldberg has adopted a topographical view of the land, reminiscent of satellite imagery. a distance her paintings delineate both the harsh contours and green expanses of the interior. At closer inspection however, they are marked by meandering and wavy lines, suggestive of corporeal channels and self-dividing cells. connection, and painting may be like writing a prayer. 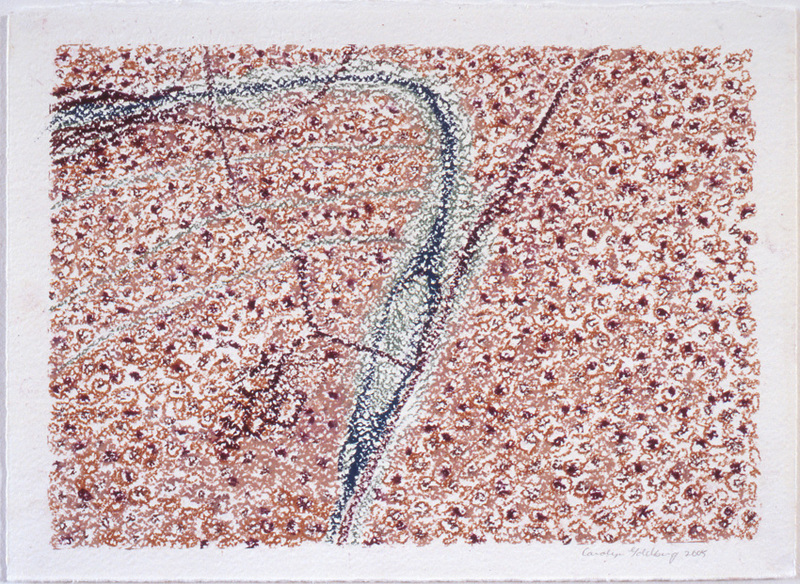 artists such as John Olsen, Fred Williams and Rosalie Gasgoine are pre-cursors to her engagement with the landscape, sharing with Goldberg a newcomer’s sensibility, which must grapple with and confront Australia’s multi-layered history. proposition. It proposes a connection that resonates in the Australian psyche in a myriad of fashions, simultaneously comforting and disturbing. 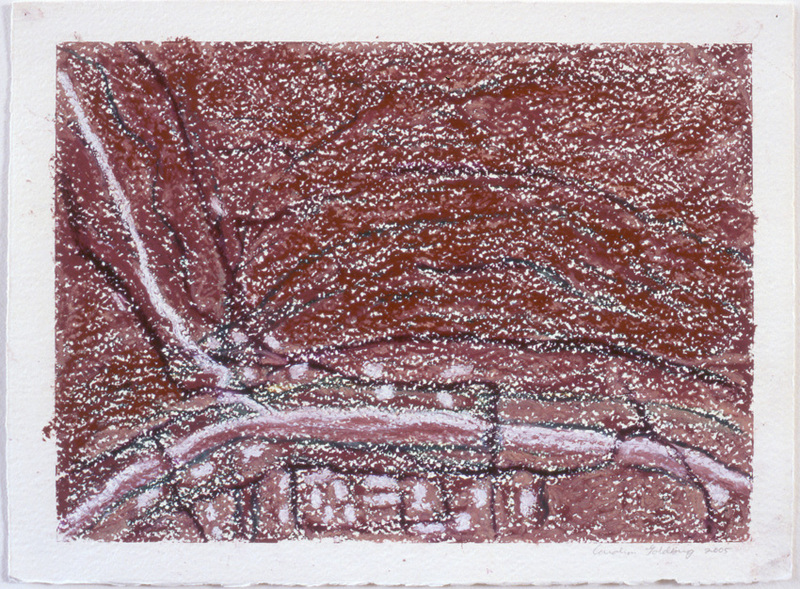 In Goldberg’s work her reverence for the landscape converges with themes of oneness, confluence and transformation, which are explored with unusual sensitivity. As a means of engaging with the self, however, Goldberg has produced images gleaned from a stillness that in contemporary life is rarely pursued so intently or with such memorable results. 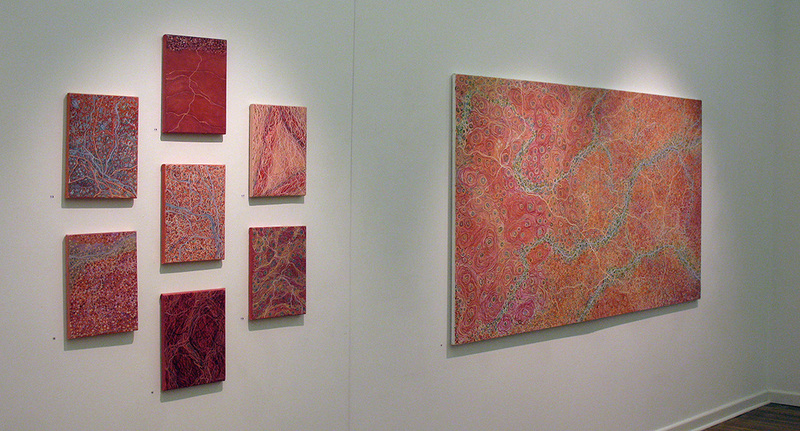 2007 “Desert Towns and Tracks” Maroondah Art Gallery, Ringwood, Vic.